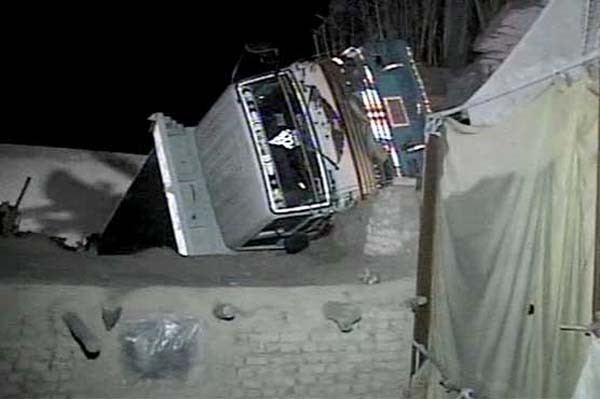 ISLAMABAD, Mar 14 (APP): At least eight people were killed and two other sustained injuries when a sand-laden dumper fell on the roof of a mud house in the Double Road area in Quetta on early Tuesday Morning. According to private news channel, eye-witnesses said, the dumper first hit the house and then fell on its roof. The roof of the house collapsed due to load of the dumper, burying the inmates under the rubles. Police and Rescue teams reached the spot and recovered dead and injured from the rubles and shifted them to hospital. At least three children and a woman were among the dead. The driver of the dumper managed to escape from the scene. Chief Minister Balochistan, Sardar Sanaullah Zehri has expressed grief and sorrow over the loss of precious lives and asked the authorities to provide best possible treatment to the injured.